My guiding career started by fishing for TROUT, STEELHEAD and SALMON on the Muskegon and Pere Marquette Rivers. Over the past six years, I have spent a considerable amount of time guiding for SMALLMOUTH BASS and PIKE on several West Michigan rivers and lakes. It is the diversity of fishing opportunities here in Michigan that make it a truly unique place to be! My background as a seasoned fishing guide, fly fishing store manager, past Grand Rapids, MI Trout Unlimited president (I am a die hard conservationist and catch and releaser), and past president of the Michigan River Guides Association has given me great knowledge of the sport and the area. Yes, I would be honored to take you and/or your group on a guided fly fishing trip or sell you some of my custom flies. But, my real desire is that your next fishing trip or tackle purchase works in your favor. Please, feel free to use me as a resource. I am happy to answer any fishing related questions you might have. Just drop me an email or give me a call. 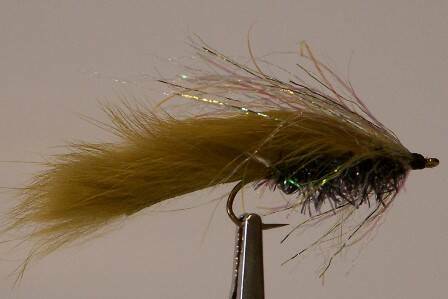 Welcome, thank you for visiting Phil Cusey's Fly Fishing Guide Service web site! With 16 years of guiding experience, it is my hope that I can be an asset for your fly fishing needs.